More than 25 percent of Mayo Clinic patients come from more than 500 miles away. 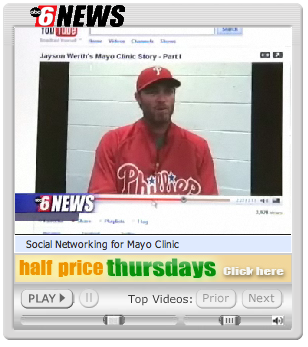 As a result, Mayo has turned to social media as a way to communicate with those patients. You can see the full story here. For more details on Mayo Clinic's social media platforms and how you can get involved, see 10 Ways You Can Use Mayo Clinic's Social Media Tools.